Nature's Bakery is a family-owned on-the-go snacks and foods brand that supports health conscious living and active lifestyles. At Nature's Bakery, their goal is simple: To give you the kosher, cholesterol-free fuel you need to help power life's great journeys. Oh yeah, and to make it-and your journeys-jam-packed with flavor. With Mother Nature's blessing, they've created perfect harmony among some of her very best handiwork, holding freshness ever sacred. Their products are great for kid's lunches, as an after yoga treat, on the trail, or just as a wholesome healthy on-the-go snack to help get you through your day. My family has always been a longtime fan of Nature's Bakery, especially my daughters. When we started our organic journey this was one of the first brands we tried and right away we knew Nature's Bakery hit the jackpot with these delicious Fig Bars. From the nutrition facts right down to the bar its-self, everything scores a TEN! My favorite flavor has always been Fig that was until I tried Apple Cinnamon. And what makes them better? Each pack contains a little less than 110 calories! Yes, you read that right. 110 calories for not one but TWO tasty Fig Bars. 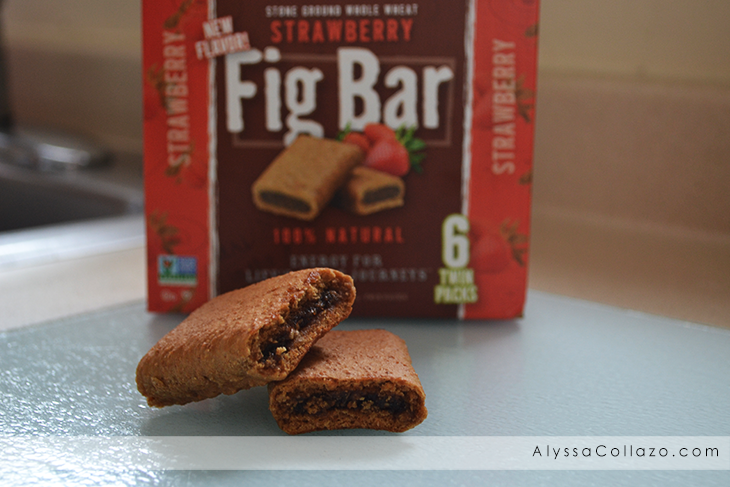 These Fig Bars make the perfect anytime snack. My daughter takes them to school and dance. My fiance has them for breakfast with coffee right before work and they keep him full until lunch time. Nature's Bakery Fig Bars come in 8 mouthwatering flavors.. Strawberry, Mango, Lemon, Apple Cinnamon, Blueberry, Whole Wheat Fig, Peach Apricot, and Raspberry. Most of their Fig Bars are cholesterol-free and dairy free. You can order Nature's Bakery Fig bars ONLINE or in select stores including Walmart, Shoprite and Pricerite. Now it's your turn to try these scrumptious Fig Bars. Nature's Bakery is giving not one but TWO of my lucky followers the chance to win 5 six-packs. Two (2) winners will receive: 5 six-packs of Nature's Bakery Fig Bars. Ends 2.25.15. Those sound good to me! I am always looking for snacks that I can just grab and go like these. Is it okay with you to tell you my mouth was watering reading this blog post? Freakin love fig, lol. Being an entrepreneur and consistently on the road I am constantly looking for grab and go snacks! Thanks! I can't wait to try these. They look delicious! These look delicious! 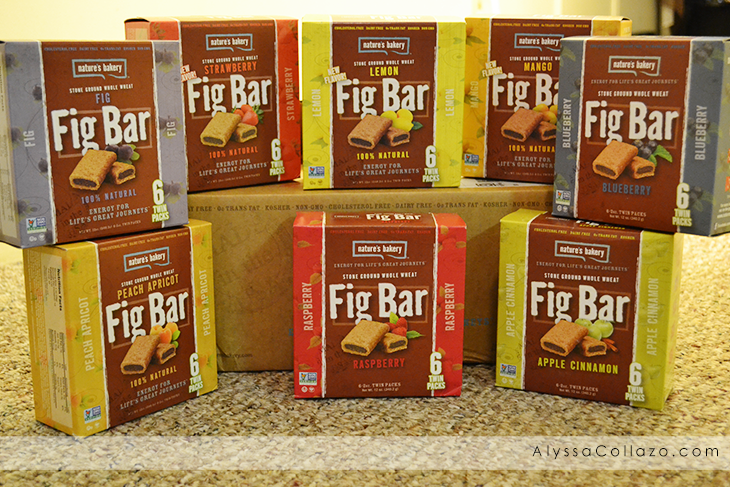 I'm a huge fig bar fan, so I can't wait to give these a try. These look great! Fruit bars like this are so tasty, and they're a great on-the-go snack. I can't wait to try these. I would love to try their , Whole Wheat Fig. I'd like to try the lemon one. These sound so good! I would love to try the peach apricot one. Yummm! Fig bars sound delicious. Those apple cinnamon bars would be a great snack food for me. Yum. I love fig bars and these ones look really great. I can always use a new treat while watching my shows! I haven't had fig bars in forever! I love how natural they are and they look incredible! I'm always up for trying new brands and new foods! My hubby actually bought me a few of these previously. They are very tasty. I look forward to trying more flavors. Thank you for sharing. I would love to try the strawberry ones. They look very delicious!! Of course I'd try any of them! I absolutely love figs and I love fig bars! I want to start making my own but it's a lot of work! I would definitely buy these...they look and sound delicious! I love fig bars, but I haven't had them for so long!! I'll have to try out this new brand! I haven't tried fig bars before to be honest but I've heard about them. Really interesting product. I did not care for fig bars as a kid, but as my tastes changed with age, I learned to really love them. I'm excited to learn they have different flavors available. Nature's Bakery Fig Bars look delicious. There are so many great flavors to try. I will have to try the Mango ones first. I would like to try the strawberry. These would be great to send to work with hubs. I like fig but I really love strawberry. These would also be perfect for my son to grab as a quick snack when he is on the go. He plays a lot of sports so grab and go snacks are just what we need. Always like to have a box of snack bars to take off when traveling. These would be great for that. I love grab and go snacks. These look like they would great. I love fig. Those sound really good. And a great alternative to Fig Newtons, which I can't get enough of. These look really good. I will have to let my wife know about these, she is the fig lover. I love fig. Trying these for sure! They look yummy. These sounds pretty yummy!!! I've never heard of this brand but I do love me some fig!!! Will have to try! My husband would just love these! My boys love figs too so I think they'd be interested!! I would like to try the Raspberry! It sounds sooo good! I'd like to try the Apple Cinnamon. I Love fig bars. YUM! I think Peach Apricot sound yummy! Apple Cinnamon would be my pick! Apple cinnamon and blueberry sound delish! The Peach Apricot sound amazing!!! All of them do, What a great giveaway!